Travelling with children can be daunting. Choosing the appropriate family-friendly hotel in Paris can make your trip much more enjoyable. As a parent, I understand the importance of hotels with larger guestrooms, infant supplies, children’s activities and discounted children’s rates. The majority of hotel rooms in Paris are small, and many are only equipped for singles and couples. The hotels listed below can accommodate 3 or more guests. The larger rooms are much harder to come by, therefore they should be booked as early as possible to ensure availability. The best rooms and rates can generally be found 5-7 months prior to your stay. 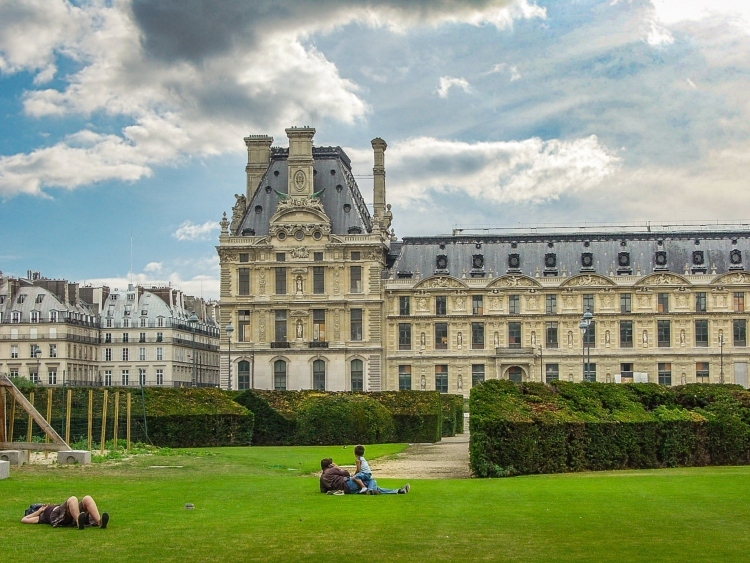 For detailed information about each arrondissement in Paris, click here. 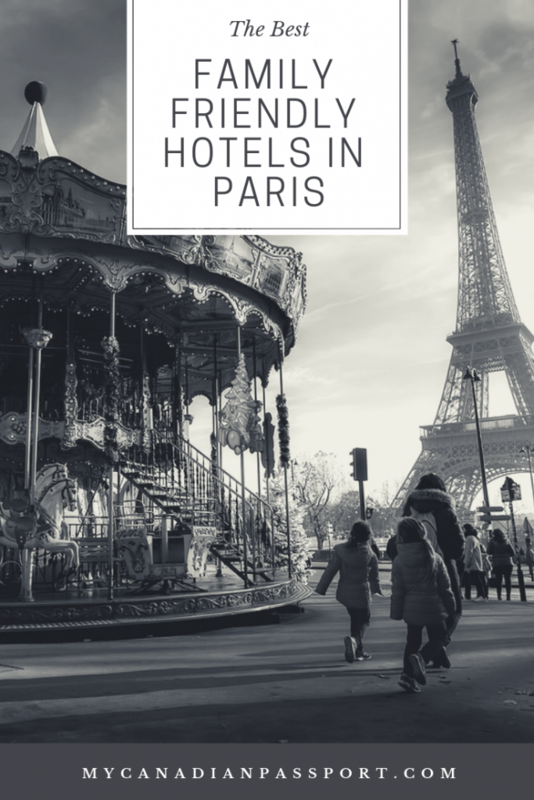 For tips on choosing a hotel in Paris, click here. Hotel Duminy Vendôme welcomes you in the heart of the capital, in the 1st district. Our 4-star hotel is located between the prestigious Place Vendôme and the Tuileries Garden. A dreamed address for your stay in Paris! Our hotel is close to the Concorde, the Madeleine, the Louvre Museum, the Grand Palais and many other tourist sites. Theatres, restaurants, cinemas, guarantee you also amazing evenings. The hotel has 78 comfortable and air-conditioned rooms, from Single to Deluxe spread over 7 floors. To make a stay pleasant to the youngest of the family we offer different services. A cot and changing mat, high chair, bottle warmer, childcare, board games and “Le Petit Prince” welcome care products. Please request specific services at the time of booking to ensure their availability. Le Meurice is a hotel palace located in central Paris. It offers a 2-star Michelin restaurant as well as a spa and a fitness centre with massage treatments. Decorated in an 18th-century style, with Louis XVI furniture, each air-conditioned and soundproofed room has a classic decor with a modern twist and a marble bathroom. Place de la Concorde and the Champs-Elysées are a 5-minute walk away, and the Louvre Museum is just 600 m from the hotel. Tuileries Metro station is 100 m away, giving direct access to Bastille and La Defense. We want you to relax while your children have fun. We can organize visits around the city, carousel rides in the Tuileries Garden or hotel games on rainy days. There are custom-made toy wooden boats waiting to sail on the boat pond in the Tuileries Garden or a treasure hunt can be organized at the hotel with the Pistache mascot and exclusive hotel gifts as prizes. We’ve created a passport that’s given to children on their arrival and takes the whole family on a (re)discovery of Paris’s little-known delights. Their passport maps out a trail of the city’s most magical sights and informs them about the child-friendly cuisine we serve at the hotel. Finally, for ‘connected’ children, they can learn about the little secrets of Le Meurice through our playful online quiz called ‘Les Bons Génies du Meurice’. The Renaissance Paris Vendome Hotel is committed to providing you with the vacation of a lifetime. We’re perfectly situated in the heart of France’s capital city, steps away from a vast assortment of world-class boutiques in the shopping district and only one block from Place Vendome; we’re also a short distance from the Louvre Museum, the Paris Opera and Place de la Concorde. All of our beautifully appointed, spacious hotel rooms showcase sophisticated boutique touches and a wide range of contemporary amenities like marble bathrooms, luxury bedding, robes and slippers and 24-hour room service. In addition, our on-site resources will be sure to impress; we feature a cutting-edge signature spa, a well-equipped fitness center and a heated indoor pool. 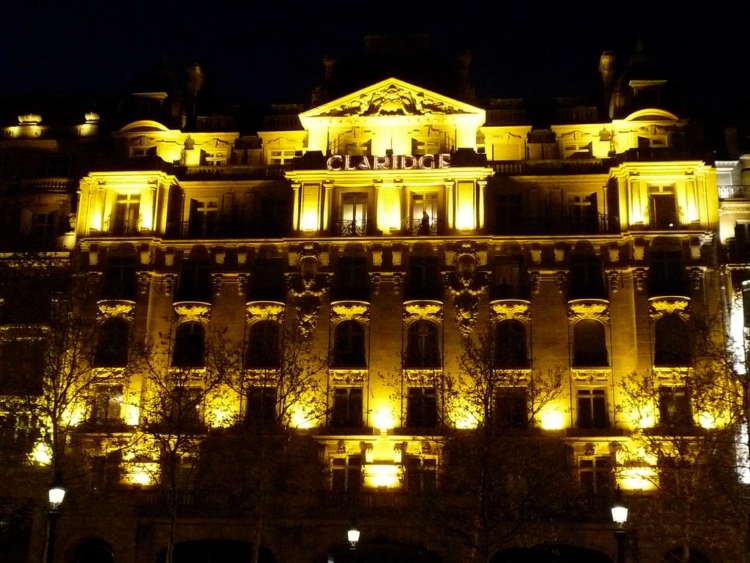 Five-star luxury awaits you at the Renaissance Paris Vendome Hotel. Family & Friends Rooms are composed of two communicating rooms. Special benefits include candy jar for children, a welcome gift for children, “Le Petit Prince” amenities in the bathroom for children, colouring book with pencils, and indoor swimming pool at our SPA. Hotel Regina is opposite the Louvre Museum and overlooks the tranquil Tuileries Garden so guests can get to some top attractions including the Eiffel Tower, the Grand Palais, the Trocadéro, the Invalides, the Orsay Museum… in minutes. Come and explore the historic city of Paris while enjoying the elegance of a remarkable five-star hotel. Combining a subtle blend of traditional French elegance and contemporary comfort, every room in the hotel has been lovingly restored to its 19th-century splendour. 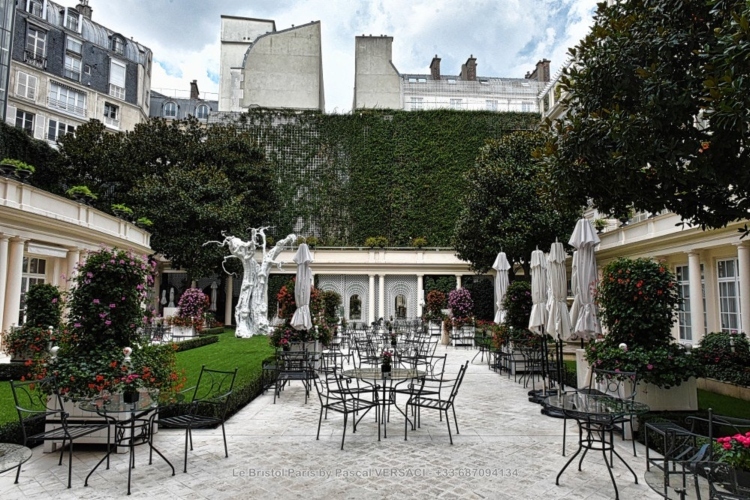 Run by the fourth generation of the same Parisian family, Hotel Regina is both chic and unique. Take the challenge out of travelling with young children when you book a stunning Family Suite. With a large master bedroom and separate children’s bedroom with bunk beds and a generous living area, there’s lots of space to romp around in. Located in the 2nd district next to the Stock Exchange, the Louvre and Place des Victoires, Hotel Malte provides a superb location for a memorable stay. Whether you want to shop in the heart of the department store neighbourhood or visit one of the main business centres of Paris, Malte Hotel is the place to be. After the warm welcome by our professional team, you will appreciate the comfort of our rooms decorated in an elegant and timeless design. A convenient location, caring personnel and warm atmosphere make Malte Hotel the perfect place for your stay in the capital, whether travelling with family or on your own. Children stay for free up to two years old (baby cot upon request). This stylish 4-star hotel is located in the heart of the lively Latin Quarter in the centre of Paris. It faces Place Saint-Michel and its famous fountain. Hotel Royal Saint Michel features soundproofed and air-conditioned rooms in a classic decor. They are equipped with high-quality bedding with mattress topper, a satellite TV and a private bathroom. A lift is available to take guests to their room. At walking distance of the hotel, are the River Seine, the Jardin du Luxembourg, Notre-Dame de Paris, and the Louvre Museum. Metro and RER Train Station Saint Michel is 130 m from the hotel. Children’s beds and changing mats are provided on request. In a quiet little street that leads to Boulevard Saint-Germain, this charming hotel has a classic façade featuring statues on every level. Inside the hotel, guests will find a cozy lounge and internet area, a charming breakfast room with an arched ceiling, rooms with air conditioning for 1-4 guests, ideal for family trips to Saint-Germain-des-Prés. Experience classic Parisian elegance at the newly refurbished Hilton Paris Opera hotel. Set in the lively Opéra quarter, our hotel is close to Paris’ top attractions and famous department stores, and the La Defense business district is just a short train ride away. Inside the hotel, you’ll find stylish rooms and suites, fantastic dining options and first-class amenities for business and recreation — everything you need for a remarkable stay in the French capital. An art-deco landmark built in 1928, Four Seasons Hotel George V is nestled in the Golden Triangle of Paris, just off the historic Champs-Élysées. Oversized suites with Eiffel Tower views welcome you after a day of wandering the quaint, Parisian streets, and our three restaurants – with five Michelin stars among them – are home to some of the best food in France. A decadent new spa, an elegant swimming pool and a courtyard for whiling away the afternoons with a glass of wine from our cellar are just some of the pleasures unique to our historic destination. Four Seasons charges no additional fee for children 18 years of age and younger occupying the same guest room as their parents or guardians (space permitting). Special rates may be available for two adults and two children 18 years of age and younger occupying two rooms, subject to availability. Age limits for children occupying parents’ or guardians’ guest rooms at no additional charge may vary at some properties. Located along the Avenue des Champs-Élysées, the award-winning Fraser Suites Le Claridge Champs-Elysées, Paris is situated on one of the world’s most prestigious streets where the grandeur extends from Place de la Concorde to the magnificent Arc de Triomphe. The elegant classic design of the studios, one and two-bedroom apartments and chic penthouses meet the highest expectation of our guests delighted with the abundance of exceptional facilities – our luxury serviced apartments in Champs-Elysées are sure to offer a relaxing and comfortable stay in the French capital. Offering a comprehensive myriad of amenities and services for our youngest guest, Fraser Suites Le Claridge Champs-Elysées, Paris is the ideal serviced apartment for families travelling with children. Family-friendly features include fully-furnished serviced apartments with separate living, dining, kitchen and bedroom areas incorporating a study area. A welcome kit and amenities for children, TV channels for children, baby-kit for 0-3 years old (bed, changing table, bottle warmer, high-chair), free buffet breakfast for kids up to 5 years old. Half price for kids between 6 to 12 years old. Babysitting service (with extra charge), personalized program and activities for families and special package for families on request. With so many rooms potentially interconnected, the Hôtel Plaza Athénée is the ideal hotel for children and we treat them as our absolute VIP guests. From our famous cuddly bear, Gustave, to a soft robe, or red slippers with a teddy bear’s head on them, we have a wide range of gifts just waiting to delight any age. We can also arrange babysitting services, and our friendly concierges, who are never short of ideas, are at your disposal to suggest a family outing that will suit young and old alike. The hotel also has the famous ice rink during the winter months, little gourmet porcelain service, the kids (concierge) desk during school holidays, an Easter egg hunt and bespoke kids menus. Families appreciate our generously spacious rooms and suites, and the Kids Club is thoughtfully adjacent to the spa with caring attendants, giving parents the opportunity to relax and revive. Families are able to stay in one of our adjoining rooms or suites and receive up to 50% reduction on the children’s room. Paris Marriott Champs Elysées Hotel invites you to experience France’s magical capital city in grand fashion. We’re dedicated to ensuring that your stay is completely unforgettable, with carefully chosen amenities and award-winning service. Settle into your beautifully designed hotel room or suite, which features a range of luxury amenities including pillowtop bedding, marble bathrooms and 24-hour room service. Some of our accommodations provide stunning views of the Champs-Elysées as well. Additional perks for your Paris visit include a modern fitness center and outstanding dining at our elegant on-site restaurants. Be sure to enjoy a drink at Bar Atrium, which showcases a striking, seven-story skylight. Family travel is easy at the Paris Marriott Champs Elysées Hotel. Our luxurious family-friendly accommodations include spacious connecting rooms furnished upon request with complimentary baby equipment (baby or child’s bed, sheets and a blanket, baby towel and a baby welcome kit with Johnson’s products). Additional family events and services, available for a fee, include Kids’ Afternoon Tea, brunch with a dedicated room for children including games, colouring books, sofa, etc. and dedicated holiday children’s events. Just 7 minutes walk from the most beautiful avenue in the world, discover the Royal Garden Champs-Elysées. This 4-star hotel offers 54 air-conditioned rooms and suites with TVs and private bathrooms. These living rooms are elegant and spacious. Between 19 and 25 m², they are ideal for a pleasant stay between the Place de l’Etoile and the Parc Monceau in the 8th arrondissement of Paris. The various hotel apartments in the residential part of the Royal Garden Champs-Elysees Paris can accommodate families for longer stays. Located in the centre of Paris, the Holiday Inn® Paris – Elysées hotel lies in the Golden Triangle, a high-end shopping destination for chic Parisians. Fashion boutiques line the nearby Champs-Elysées and Faubourg de Saint-Honoré, and major visitor attractions are easily accessible. It’s a two-minute walk to Miromesnil metro station, and less than an hour by public transport to Charles de Gaulle Airport and Paris Orly Airport. Kids ages 17 and under stay for free when sharing their parents’ room. Up to four kids ages 12 and under eat free any time of the day in any Holiday Inn® on-site restaurant. Children’s activities available. At just a stone’s throw from the Champs-Elysées and the Arc de Triomphe, our luxury hotel offers guests a very Parisian mansion house-style experience. This decor in this charming hotel is inspired by one of France’s most glorious epochs – that of Emperor Napoleon Bonaparte. With its range of cozy rooms, beautiful suites or large inter-connecting rooms, the Hôtel Napoléon is perfect for families or couples looking for an escape in Paris, a city that breathes romance. Located in the famous 8th arrondissement, one of Paris’s elegant upmarket neighbourhoods, it’s ideally placed for shopping or business trips and is close to the capital’s iconic monuments. Hôtel Londres et New York, 3 stars, is an elegant, family-friendly Paris hotel offering 66 contemporary rooms and free WiFi. Guests can start the day with a generous buffet breakfast. Housed in a smart Haussmannian-style building, the central 3-star hotel is steps from the Haussmann Saint-Lazare RER station and directly opposite Saint-Lazare station, where you can hop on the metro and bus. It’s handy for shopping at Printemps or Galeries Lafayette. 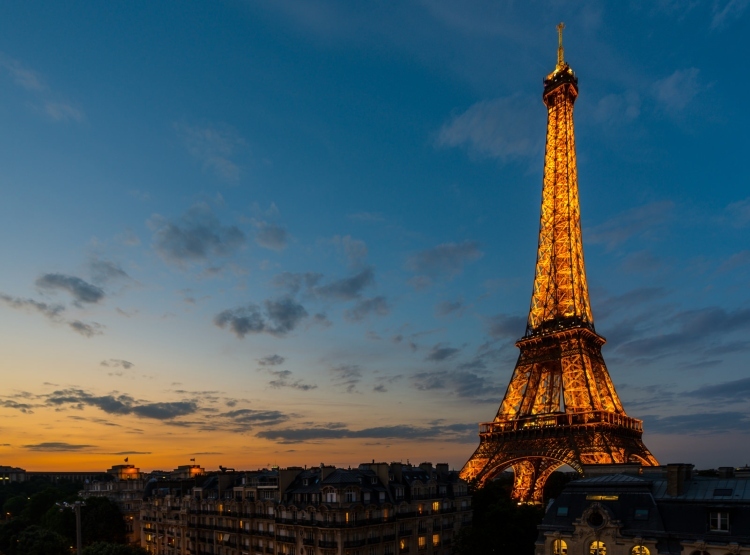 To visit the Eiffel Tower or experience the Palace of Versailles, the hotel’s 24-hour concierge is happy to help you plan your day or book event tickets. Parking is available nearby. Hôtel Opéra Cadet, located in the central 9th arrondissement of Paris near the Opéra Garnier, the Grands Magasins and the Grands Boulevards district, is the ideal place for your holidays or business travel. The Hôtel Opéra Cadet enjoys a central location in a pleasant, partially pedestrian street lined with shops, so you can explore the heart of Paris on foot. Calm, space, light, comfort and coziness are the watchwords for our 85 rooms and suites, 10 of which open on to other rooms, and which are served by 2 elevators. It is the perfect place to stay, whether you are travelling alone, as a couple or a family, or with friends. You will enjoy peace and tranquillity in the hotel’s cozy art deco atmosphere, with its lush courtyard garden and sunroom. The renovated, 4-star hotel’s design is reminiscent of early 20th-century art studios. Its interior is themed around paintings, sculptures and music. Our helpful and attentive staff will do their utmost to make all our guests feel special. We look forward to welcoming you to this home away from home. Conveniently located near the Opéra Garnier Theatre, the Montmartre district and major department stores, the Hotel Hélios Opéra offers travellers much more than just a great location in Paris 9th district. Guests have direct access to the City’s major business centers (La Défense) and tourist attractions (the Madeleine Square, Champs-Elysées, etc. ), making it an excellent destination. One child up to the age of 3 stays free of charge in their parents’ room. Baby cots available. High chairs available in the breakfast room. 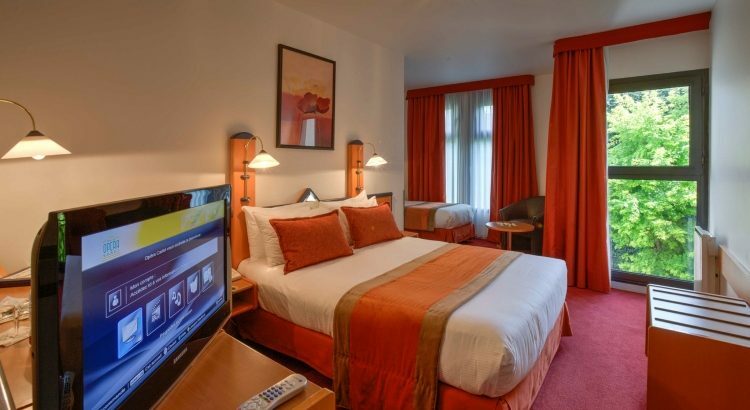 Holiday Inn Paris Gare de Lyon Bastille is ideally located in the centre, 260 m from Gare de Lyon Train Station. It features stylish air-conditioned accommodation with flat-screen satellite TV. The rooms and suite at the Holiday Inn Paris Gare de Lyon Bastille are all equipped with a minibar, desk and telephone. The private bathrooms feature a hairdryer and a bathtub. Gare de Lyon Metro and RER Station provide direct access to Disneyland, the Champs Elysées, the Louvre Museum and La Defense business district. This hotel is 700 m from the trendy district of Bastille and a 15-minute walk from AccorHotels Arena. 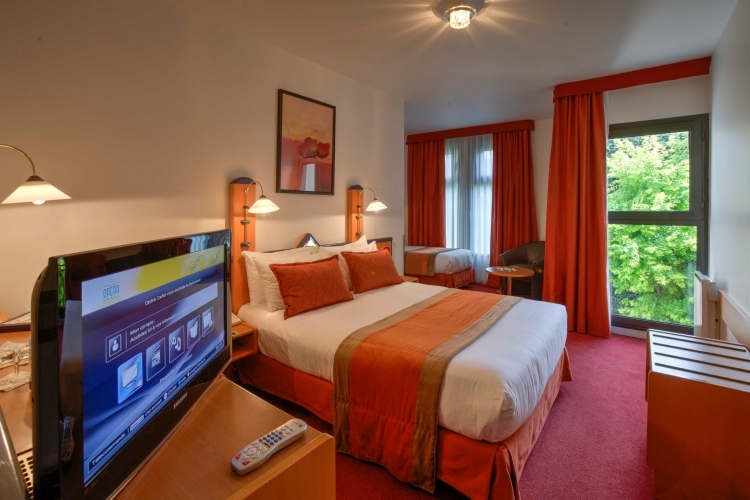 Hotel de la Porte Dorée is located a few metro stops from the city’s main tourist centre and is close to the Bois de Vincennes, where you can enjoy a morning run or a lakeside picnic with your children. From the hotel, you can walk to the centre of Paris along the ancient Roman viaduct, transformed into an elevated garden best known as the “coulée verte”. Numerous bus and metro lines near the hotel offer quick and easy access to the city’s top tourist attractions. Our hotel is fully equipped to welcome you and your children. Starting from the crayons and papers at the reception to the toy baskets in the rooms, you will not be the only one enjoying your stay. Your children will love it too! The Aiglon Hotel is in a unique location at the heart of the Montparnasse district. It stands at the corner of Boulevards Raspail and Edgar Quinet, which were once part of the patrol path along the Fermiers Généraux wall. Our 4-star hotel is delighted to welcome families, and we go out of our way to make your life easier and bring you the best service. Free of charge, we provide bottle warmers, a high chair, baby-changing table, baby buggy, car seat and a collection of books for children in our library. Our Family Suites, Superior Family rooms and our apartment have been specially designed to welcome them. We give every child a welcome gift on arrival, with a “Reinette” colouring book and stickers, coloured pencils and slippers. Each floor has a washroom that includes a nursery area equipped with tubs adapted for babies and toddlers, as well as changing tables. Every floor has a kitchen equipped with a microwave oven and bottle warmers so children can eat at any time, day or night! Our hotel of 430 rooms is located on the left bank of Paris, at the foot of the Iron Lady. Perfect for leisure or business travellers, the Pullman Paris Tour Eiffel offers 23 modular spaces, including a ballroom, to accommodate your private or professional events. The FR\AME bar and restaurant and its terrace are the perfect places for cosmopolitan encounters. The fitness room and some rooms offer breathtaking views of the Seine, the Trocadéro and the Eiffel Tower. The hotel is set in a central location in Paris on the doorstep of the Eiffel Tower and minutes away from other major attractions such as Notre-Dame, the Arc de Triomphe and the Bateaux Parisiens. The Elysées Union Hôtel sits in a refined and typically Parisian 19th-century building, where famous novelist Marcel Proust used to live. Located in the heart of the prestigious 16th arrondissement of Paris, this elegant 3* establishment offers the perfect base for business and leisure travellers visiting the City of Light. Single rooms, double rooms, triple rooms, quadruple rooms and a two bedroom apartment are available. Ideally located facing the Arc de Triomphe, two steps from the Champs Elysées and close to the business district of La Défense, the Hotel Splendid Étoile, welcomes you in a setting combining luxury, charm and tradition. The Hotel Splendid Étoile with 57 rooms and suites, will charm you thanks to its cordial setting and refined atmosphere. This mansion dating back from 1880, was built in the purest Haussmann style and opens largely on the Place de l’Étoile. The 4* Hotel Splendid Étoile offers various services designed for guests with children to ensure everyone has an unforgettable stay: child’s pack (baby bed, high chair, colouring book, Frontenac group cuddly toy/stuffed animal, babysitting service in the hotel upon request).